"Beeville" redirects here. For the ghost town in Indiana, see Beeville, Indiana. Many of the stately homes, commercial buildings, and schools in the area, including the Bee County Courthouse, were designed by architect William Charles Stephenson, who came to Beeville in 1908 from Buffalo, New York. Beeville is a National Main Street City. Gutzon Borglum, the sculptor of Mount Rushmore, and son Lincoln, took up residence in the city during the time Rushmore was being sculpted. The original site on the Poesta River was first settled by the Burke, Carroll and Heffernan families in the 1830s. Present-day Beeville was established on a 150-acre land donation made by Ann Burke in May 1859 after the Republic of Texas was annexed by the United States. It was first named "Maryville" for pioneer Mary Heffernan. It was renamed "Beeville" after Barnard E. Bee, Sr., who had served as Secretary of State and Secretary of War for the Republic of Texas. It was called "Beeville-on-the-Poesta", with a nearby community "Beeville-on-the-Medio" seven miles (11 km) to the west. The first post office opened in 1859. In 1886, the first railroad was constructed through Beeville, stimulating the growth of the economy and population. The Southern Pacific Transportation Company operated these railroads until the early 1970s. Beeville was incorporated as a town in 1890, but the incorporation was dissolved the following year. Beeville was reincorporated as a town again in 1908. The city streets were paved in 1921. The Rialto Theater, one of the Beeville structures designed by W. C. Stephenson, cost $25,000. The Rialto opened on August 19, 1922, with the silent film The Three Musketeers starring Douglas Fairbanks, Sr. Admission was twenty-five cents for adults and ten cents for children. The theater is now used for special occasions and live performances. The Texas oil boom brought in many new residents, which grew the population of the city to 4,806 in 1930. By 1950, the population more than doubled to 9,348. The United States Navy operated the Beeville Naval Air Station, which trained Navy airplane pilots during World War II from 1943 through 1946. The base was reopened in 1952 as Naval Air Station Chase Field, continuing in operation until 1992. Beeville was served by Trans-Texas Airways (TTa) during the 1950s. TTa operated scheduled passenger flights with Douglas DC-3 prop airliners from Chase Field with service to Brownsville, Corpus Christi, Harlingen, Houston, San Antonio and other destinations in Texas. In 1967, the town was inundated by 30 inches (760 mm) of rain during Hurricane Beulah. Beeville calls itself "A Honey of a Town". The city's terrain ranges from flat to gently rolling slopes, set in the South Texas Brush Country. Beeville is LOCATED between San Antonio and Corpus Christi. Travel time to Corpus Christi is approximately one hour by car, and travel time to San Antonio is approximately 1½ hours by car. The climate in this area is characterized by hot, humid summers and generally mild to cool winters. The temperature is influenced by the warm waters of the nearby Gulf of Mexico. Prevailing southerly winds of 8 to 10 miles per hour (13 to 16 km/hr) come off the Gulf. Annual rainfall is about 30 inches (76 cm), fairly evenly distributed throughout the year. According to the Köppen Climate Classification system, Beeville has a humid subtropical climate, abbreviated "Cfa" on climate maps. At the 2000 census, there were 13,129 people, 4,697 households and 3,287 families residing in the city. The population density was 2,149.7 per square mile (829.6/km²). There were 5,539 housing units at an average density of 906.9 per square mile (350.0/km²). The racial makeup of the city was 72.08% White, 2.87% African American, 0.59% Native American, 0.69% Asian, 0.05% Pacific Islander, 20.63% from other races, and 3.09% from two or more races. Hispanic or Latino of any race were 67.67% of the population. There were 4,697 households of which 39.4% had children under the age of 18 living with them, 45.5% were married couples living together, 19.2% had a female householder with no husband present, and 30.0% were non-families. 26.1% of all households were made up of individuals and 10.3% had someone living alone who was 65 years of age or older. The average household size was 2.73 and the average family size was 3.30. 31.1% of the population were under the age of 18, 11.1% from 18 to 24, 26.2% from 25 to 44, 19.8% from 45 to 64, and 11.8% who were 65 years of age or older. The median age was 31 years. For every 100 females, there were 89.1 males. For every 100 females age 18 and over, there were 83.5 males. The median household income was $25,475 and the median family income was $27,794. Males had a median income of $26,761 and females $20,411. The per capita income was $11,027. About 26.5% of families and 30.3% of the population were below the poverty line, including 40.8% of those under age 18 and 24.4% of those age 65 or over. The Beeville City Council consists of Mayor David Carabajal, Mayor Pro-tem John Fulghum, Bebe Adamez, Yvonne Dunn, and Randy Forbes. The city has nine parks scattered among the neighborhoods, with a swimming pool at Martin Luther King-City Pool Park. The Texas Department of Criminal Justice operates the Correctional Institutions Division Region IV Office on the grounds of the Chase Field Industrial Complex, the former Naval Air Station Chase Field, in Beeville. In addition, Garza East Unit and Garza West Unit, transfer facilities, are co-located on the grounds of the naval air station, and the McConnell Unit lies about 1 mile (1.6 km) outside the city limits. The Beeville Distribution Center is on the grounds of the air station. Joseph T. Hallinan, the author of the 2001 book Going Up the River: Travels in a Prison Nation, described Beeville as a prison town. At the time Beeville was trying to attract more prison business since the employment is stable. Hallinan wrote that Beeville was attempting to be "a prison hub, becoming roughly what Pittsburgh is to steel or Detroit is to cars". Beeville is served by the Beeville Independent School District, which has approximately 3,500 students in six schools. A C Jones High School boasts newly[when?] turfed football stadium and a brand new softball and baseball complex. Sports include golf, boys' and girls' basketball, baseball, softball, powerlifting, boys' and girls soccer', tennis, track, wrestling and cheerleading. The teams are the Trojans and Lady Trojans, and their colors are orange and white. Other extra-curricular programs include the Dazzlers Dance Team, band, choir, theater arts. The Joe Barnhart Bee County Library is located in downtown Beeville, directly across the street from the Bee County Courthouse. The Beeville Art Museum is a teaching museum, relying on traveling exhibitions. It is housed in the Esther Barnhart House. The house was built in 1910 by the R.L. Hodges family and occupied by their descendants until 1975. In 1981, the Hodges house and adjacent acreage were purchased by Dr. Joe Barnhart of Houston. He named the house the Esther Barnhart House in honor of his mother. He then developed the land into a park for the community. He named the park the Joe Barnhart Park in honor of his father. Cyndi Taylor Krier, San Antonio politician, born in Beeville in 1950. Edmundo Mireles Jr., FBI agent involved it the 1986 FBI Miami shootout. Vail Ennis, Bee county sheriff for eight years 1945-1952 who reportedly killed eight men while in office. ^ a b "State and County Quick Facts". United States Census Bureau. Archived from the original on March 27, 2015. Retrieved March 4, 2015. ^ "About". City of Beeville Mainstreet. ^ Tarpley, Fred (July 5, 2010). 1001 Texas Place Names. University of Texas Press. p. 22. ISBN 978-0-292-78693-6. ^ "The Railroad in Beeville and Skidmore". www.txtransportationmuseum.org. 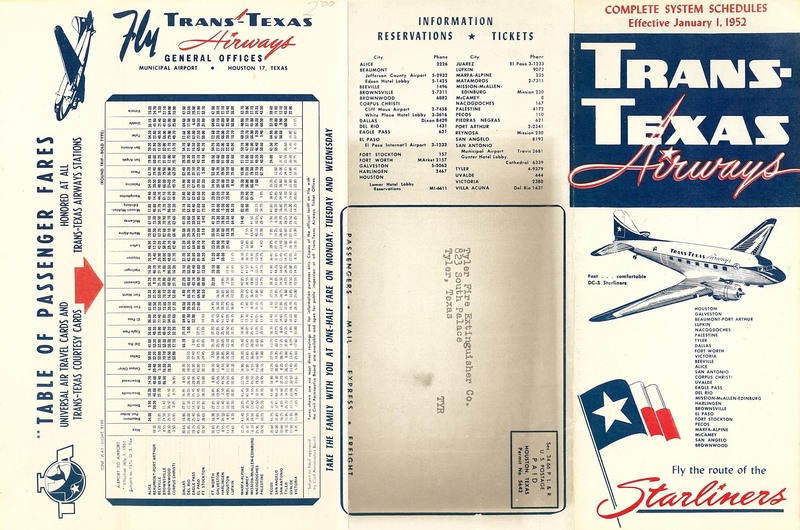 ^ "Trans-Texas Airways Jan. 1, 1952 system timetable" (JPG). ^ a b Hallinan, Joseph T. "Chapter One" (Archive). Going Up the River: Travels in a Prison Nation. 2001. Retrieved on September 27, 2015. ^ "Beeville, Texas Köppen Climate Classification (Weatherbase)". Weatherbase. ^ "Welcome to City of Beeville, Texas". www.beevilletx.org. ^ Correctional Institutions Division Region IV Director's Office Archived 2008-01-21 at the Wayback Machine Texas Department of Criminal Justice, retrieved on May 21, 2010. ^ Garza East Unit Archived 2008-01-18 at the Wayback Machine, Texas Department of Criminal Justice, retrieved on May 21, 2010. ^ Garza West Unit Archived 2010-07-25 at the Wayback Machine, Texas Department of Criminal Justice. Retrieved on May 21, 2010. ^ "Beeville Distribution Center Archived 2010-07-12 at the Wayback Machine, Texas Department of Criminal Justice. Retrieved on May 22, 2010. ^ Cook, Charles Weldon. "Joe Barnhart Bee County Library". www.bclib.org. ^ "Marianne Rafferty Biography". FoxNews.com. January 13, 2011. Retrieved October 17, 2011. ^ "The Legend of One of the Deadliest Men in South Texas". Texas Monthly. October 18, 2017.